We all have heard of Hero Maestro, what about Hero Maestro Edge? Hero MotoCorp, the Indian automobile manufacturer is working on Maestro Edge – the next version of Maestro which is going to be introduced soon. The Hero Maestro Edge will be a 125cc scooter. Hero Maestro has brought a great success for Hero MotoCorp – now the company is looking to try and capitalise on its Maestro brand by pushing another scooter Maestro Edge in the 125cc scooter segment. 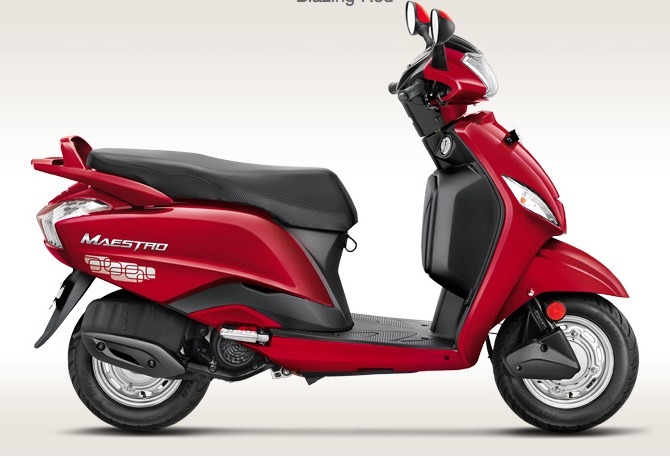 The existing Hero Maestro has almost same dimensions as that of Honda Activa. What’s new with Hero Maestro Edge? The styling of upcoming Hero Maestro Edge would be very similar to that of Hero Maestro, however it would be more of a sportier look and it is expected to get more chrome on its body. Maestro Edge would be a premium model and boasts of having 1bhp more power than that of current Hero Maestro. When it comes to driving the Gaadi, it would feel more superior and the scooter would come with CVT (continuous variable transmission). The suspension set up of Maestro will be same as Honda Activa 125. The launch of Hero Maestro Edge would happen somewhere in mid-2015. Initially the edge will be offered in two variants. The top variant of Maestro Edge would get alloy wheels and even the disc brakes. Again no credit and backlink.